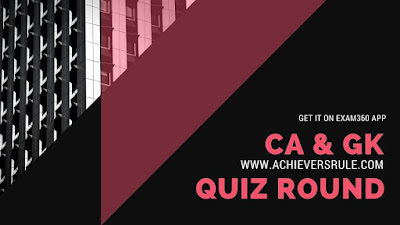 Daily Current Affairs Quiz - 17th April 2018 has a set of 15 questions which have been framed based on the Latest and New Current Affairs Updates of today. These are good for practice and will also help you to boost your knowledge. Each of the questions have the answer and proper explanation provided against each of the question. Some of the upcoming examinations are IBPS PO, IBPS CLERK, SSC CGL, SSC CHSL and other exams. Himachal Pradesh celebrated its 71st foundation day with much fanfare and gaiety Sunday. Several cultural events were organized across the state. The Confederation of Indian Industry (CII) said it expects India's gross domestic product (GDP) to grow at 7.3-7.7 per cent during the 2018-19 financial year. The much-awaited bridge built over the Ib river in Sambalpur district was thrown open to the public by Chief Minister Naveen Patnaik. In a bid to ensure timely grievance redressal for consumers, the National Anti-Profiteering Authority (NAA) launched the "Anti Profiteering" online community in association with a citizen-engagement platform, LocalCircles.